INDIANAPOLIS -- Indiana is one of the least affordable states in the country for child care, according to a newly-released report from Child Care Aware of America. 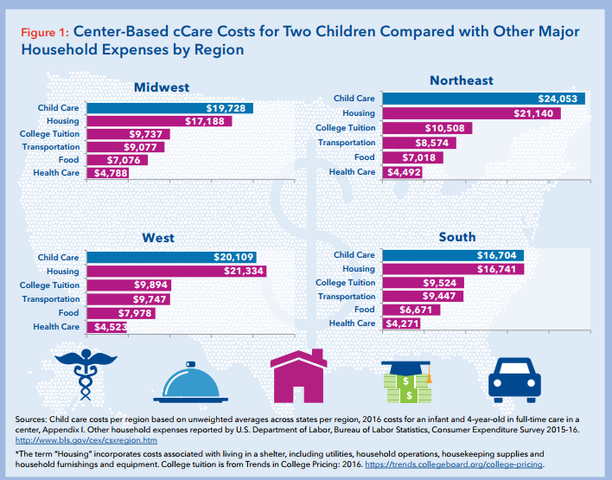 Indiana ranks as the fourth least affordable state in terms of toddler child care at a center, which costs an average of $10,885 a year. For a single parent making the state median income of $26,347, that parent would spend nearly half of their income on child care for their toddler. 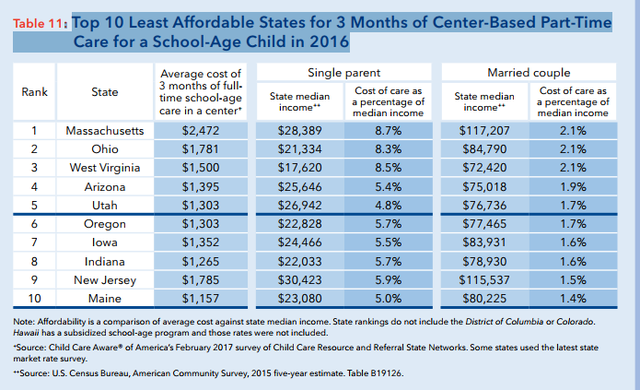 Indiana also ranks sixth least affordable for center-based care for 4 year olds at $9,380 a year . Currently, it costs more to send your child to a licensed center than it does to pay for their college public tuition, which costs $9,119 a year, according to the study. Indiana is also the eighth least affordable state for part-time care for school age children, which costs $1,265 for three months of care, according to the study. Call 6 Investigates has reported that the cost of child care is becoming an increasing burden on Indiana families. The annual cost of infant care at a center is now $11,949, according to the study, ranking Indiana as the ninth least affordable state. Loving Hearts also offers 10 percent discounts for military members and church members, as well as discounts for families with multiple children attending the facility. Call 6 Investigates sent the study to state lawmakers Tuesday and asked if they plan to take steps to address the affordability of child care in Indiana.